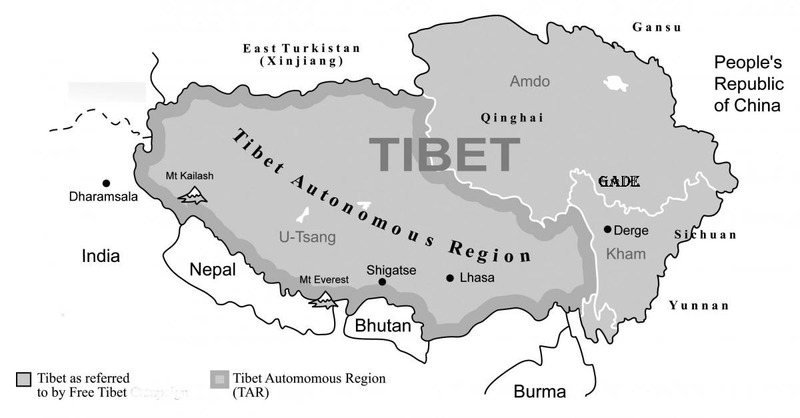 (TibetanReview.net, Jan30, 2015) – China finally has a name to go with party and government officials it said were under investigation for corruption in Tibet Autonomous Region. Losong Tsering, secretary of the CPC committee of the region’s Transportation Department, is the subject of an investigation relating to “serious disciplinary violations”, reported China’s online Tibet news service eng.tibet.cn Jan 29. The report added that the regional discipline inspection commission did not elaborate on the “violations”, a term China usually uses to refer to corruption and related infractions. The brief report added that Losong had been transferred to the TAR’s Transportation Department after having served as the Secretary of the CPC committee of Tibet’s Shannan (Tibetan: Lhoka) Prefecture from 2006 to 2011. Earlier, on Jan 27, the Commission for Discipline Inspection of the TAR also announced in Lhasa that an unspecified number of Tibetan officials who were suspected of providing intelligence to the Dalai Lama’s separatist forces were being probed, said another eng.tibet.cn report Jan 29, citing chinanews.com. The report gave no further details. However, Tibetans have in the past been persecuted for such alleged offence after they had given overseas contacts information about protests, detentions, imprisonments and Chinese crackdown measures and actions. While such information have absolutely no implications for China’s security and stability they could certainly embarrass the Chinese leadership. The report also cited Wang Gang, secretary-general of the commission, as saying 15 officials in the TAR had been punished for “serious violations of discipline”. It was not clear whether this term, applied to corruption, also includes alleged supporters of the so-called “Dalai Lama clique”.